A casino that primarily caters for Australian players, Casino Mate has made quite an impact through its appeal to European players. All games are powered by Microgaming, and the game quality, as well as the excellent customer service provided, ensures that this is an online casino worth visiting. A gaming licence is held in Malta. Since its creation in 2001, Casino Mate has been providing players with an enjoyable gaming experience, with an outstanding supply of online games and playing options. The casino offers a variety of language options to reinforce its global appeal, including English, Russian, French and Dutch. The Australian theme sets the casino apart from its competitors. However, Casino Mate currently doesn’t accept players from the USA. Casino Mate has a wide variety of slots. Offering a blend of some of the most popular games online, including Thunderstruck II and Immortal Romance, as well as a number of three-reel slots and AWP machines rarely seen on online casinos, there’s something for all slots fans to enjoy. Variety is also offered in the form of table games where players can pick the game to suit their style of play, including Blackjack, Roulette, Craps and Baccarat. There is also a range of video poker for enthusiasts to enjoy. From common variants including Joker Poker and Jacks or Better through to more obscure versions such as SupaJax and All Aces, there really is something for everyone here. Casino Mate offers a full collection of 650 games all provided by Microgaming. The graphics are all of a high standard provided by the latest Microgaming Viper software. Players can choose from video slots, video poker games or table games available by both downloadable software and Flash player. Players who choose not to download the software run the risk of having a smaller choice of games to choose from, however there’s still a high variety available. 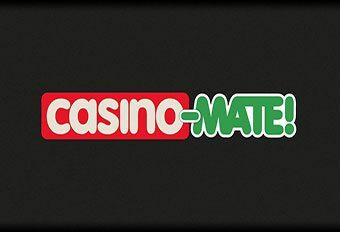 As is to be expected for new players, a welcome offer is incorporated by Casino Mate. Players can receive free play bonuses, free spins and match deposit bonuses. A VIP club is also provided by the casino, with VIP members entitled to personalised bonuses, exclusive offers and great prizes and rewards, including VIP holidays. Casino Mate offers a wide range of banking options for which to deposit on, including NETELLER, Moneybookers and Visa. However, the casino ensures that all withdrawals have a 24 holding period before processing. The casino promotes this by claiming that players have the opportunity to reverse their withdrawal. Casino Mate safeguards players’ personal data through an SSL encryption, which makes players’ details impossible for anyone to read. To ensure fairness, the casino independently audits all its games through eCogra. Support staff is on hand 24/7 to answer players’ enquiries. A live chat feature is easily accessible through both the downloadable content and the software. Players can also use the Freephone option to talk to customer support directly. Additionally, an email function is available, however, this is best used for enquiries that aren’t urgent as it can take up to 24 hours to get a reply.